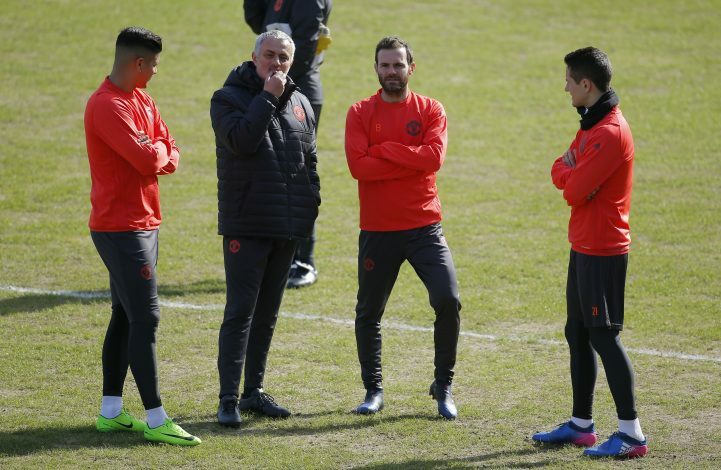 Manchester United boss Jose Mourinho is extremely angry with the state of the pitch at Olimp-2 and reportedly wants the Europa League tie to be called off. United are to play Russian club Rostov in the last-16 first leg on Thursday. Mourinho reportedly fears for his players, and would like the tie to be rescheduled despite an already congested fixture schedule. He said that it was unbelievable the Red Devils were expected to play on a patchwork surface. “It’s still hard for me to believe we are going to play tomorrow. I know we have to, but it is hard for me to believe we are going to play tomorrow in that field – if you can call it a field,” said Mourinho. Manchester United were supposed to play Manchester City in Beijing during pre-season, before both teams decided to pull out because of the bad state of the pitch. The former Chelsea manager also said that he hadn’t formally complained yet. The 54-year old added he hadn’t thought much about the game either, saying: “And I don’t know what team to play, really. I don’t know if Henrikh Mkhitaryan is going to play. He also declined from commenting on Zlatan Ibrahimovic’s three match ban, handed out by the England FA.